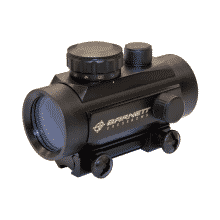 4X magnification, 32-millimeter scope from archery gear maker Barnett. 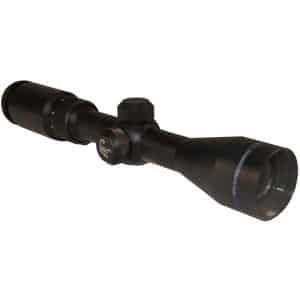 Five-point programmed, multi-reticle crosshair system for rapid target acquisition. 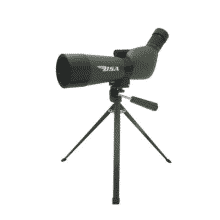 BSA Optics 20-60x 60mm Spectre Spotting Scopes are compact and portable, useful under low light conditions. 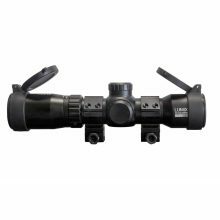 These spotting scopes by BSA Optics will give you a brighter, clearer image and the magnification needed to see more details on your target. 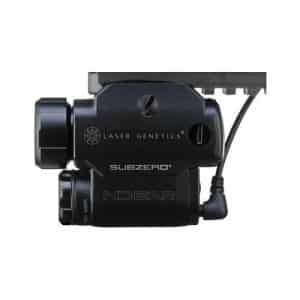 The ND-3-AR Subzero Laser Designator with AR Mount from Laser Genetics is a long-range laser illuminator designed for cold weather operation by law enforcement personnel. This fully-integrated laser and mount features a Picatinny mount that securely fastens to an AR-style flat top or accessory rail. An included remote pressure activation switch connects to the battery compartment and provides fingertip laser activation from the firing position. Laser Genetics engineered this configuration of the ND-3 Subzero to maintain zero and deliver weather-resistant performance even after being subjected to rapid fire recoil forces, making it dependable enough for a duty weapon. 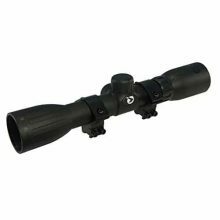 If you are a crossbow hunter who truly takes his sport seriously, this is the only scope that will satisfy you! The Twilight DLX is designed to make the most out of every bit of light to give you the brightest image possible in extreme low light hunting situations. That means clearer, crisper view for absolute target identification and precise shot placement after sunset and before sunrise when the big ones are most likely to be encountered. The Twilight DLX features a huge 44mm objective lens to gather the most light possible, a 30mm tube for unimpeded light transmission, and fully multi-coated lenses throughout to maximize clarity and brightness. The Twilight DLX comes with our famous adjustable multiplex crosshair system for accurate compensation for trajectory in precise 10-yard increments at any speed between 300 and 400 FPS, and our dual red or green color illuminated reticle to assist you in low light accuracy. Air soft. Magnification: 3-9X. Objective Lens Diameter: 40. Coating: Fully Coated. 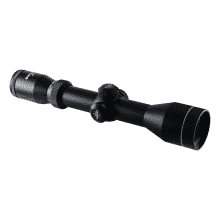 Add the Gamo airgun rifle scope to your airgun and be more accurate than ever. 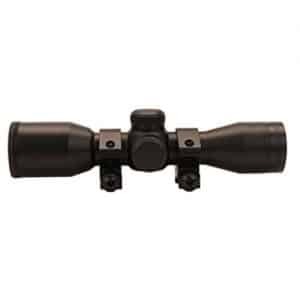 The 4X magnification helps with the longer shots and you can make windage and elevation adjustments. Includes rings and lens covers. 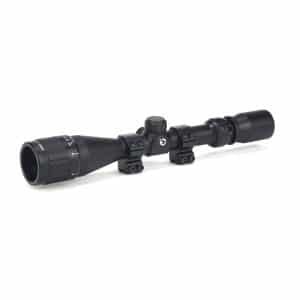 The Killer Instinct® 1.5-5×32 IR-E Crossbow Archery Scope is the elite, high performance crossbow scope. Easy-to-use Speed Ring adjustment allows scope to be instantly matched to any bow shooting speeds between 270 fps to 450 fps. Features expertly designed Killer Instinct KillZone™ XB100 Reticle – optimized for both fast short distance target acquisition and precision long-range accuracy out to 100 yards. Exceptional LUMIX optic clarity, micro-adjust Red/Blue Illumination and a rugged chassis delivers the very best for crossbow hunting. Waterproof, Fogproof and Shockproof. 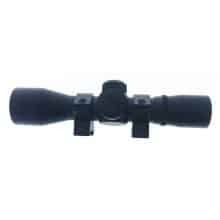 Our most versatile line of high quality hunting scopes. 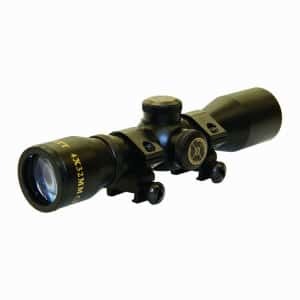 These scopes are precise, rugged and repeatable making them the back bone for our range-dial-shoot system. 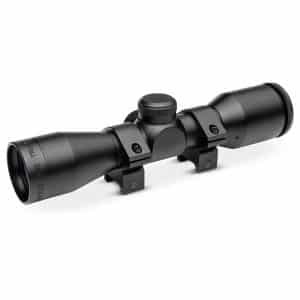 Our Venom Hi Grade scopes come in a wide range of magnifications to cover a wide variety of applications and hunting situations.